Hickory Bridge Farm is your Gettysburg group dining destination. Host your anniversary, wedding reception, or family reunion in a private or semi-private dining area. 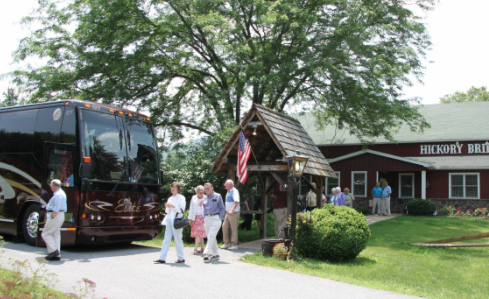 We also are a favorite dining destination for tour groups and tour buses while visiting the Gettysburg area. Host your Anniversary, Birthday, Bridal & Baby Showers, Clubs, Reunions, or Retirements with a special meal for your special day. We specialize in accommodating tour groups of all ages and sizes. Have lunch or dinner, tour our farm museum. We offer historical impersonators or Battlefield Guides to enhance your Gettysburg experience.